Flexible Working Week is an awareness campaign that aims to inspire and encourage the UK workforce to become more flexible. With today's technology and WiFi found anywhere, working in the office is no longer mandatory. ​Therefore, requesting flexible working hours can be easier than expected. 14% of the population work from home, and this figure is growing with constantly developing technology. As a result there is a much higher percentage of self-employed, working from home or working flexibly employees. Flexible Working Week was established in 2006 and this year it takes place from 25th March to 31st of March and this is to celebrate the anniversary of the first Flexible Working Legislation coming into force on the 6th April 2003. 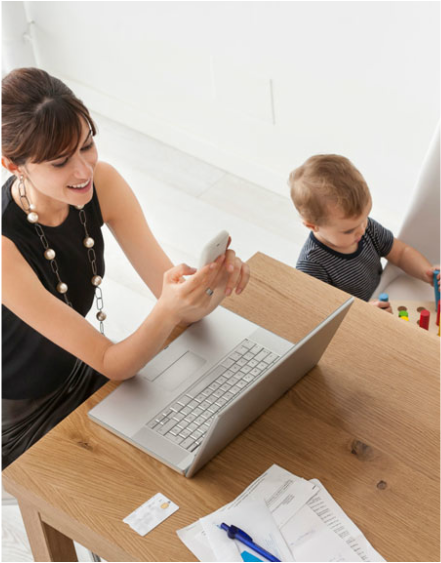 The legislation introduced that specific employees (such as mums) in the UK and Northern Ireland have the right to apply and request flexible working from their employer. This legislation has undergone a few amendments since 2003 and modernised over time, New legislation regulations, that came into force in June 2014, state that any employee can request flexible working, not just parents. You can look through our website, for advice on how you can be involved in flexible working and what you should remember. Read our top tips for ideas on the major issues normally found with working flexibly, as well as the benefits of taking part. You can start moving your hours, days and locations to fit your working mood that day. If you're interested to get out of the office, then let us help you get there faster!